Micro Focus has announced a critical milestone in a years-long effort to create and deliver solutions that help organizations transform their business in accordance with rapidly evolving IT requirements. 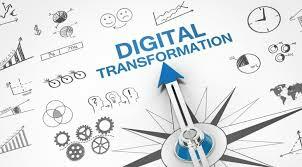 By combining industry-leading software and domain expertise in four core areas – Enterprise DevOps, Hybrid IT Management, Predictive Analytics and Security Risk and Governance – the company is now uniquely positioned to deliver on all critical aspects of enterprise digital transformation to help customers innovate faster with less risk. By delivering a holistic set of solutions that can be integrated together and with existing legacy systems, Micro Focus has differentiated itself by better matching the current and future enterprise IT reality – all in a market largely dominated by point solutions that are often not interoperable and only address a specific portion of collective IT needs. The breadth of the portfolio, depth of enabling analytics and proven ability to protect the organization’s most important assets gives customers the confidence they need to transform their business on their own terms, no matter where they are in the IT lifecycle. The end result is greater speed and flexibility with lower overall risk. This announcement follows a number of deliberate steps over the past 24 months to round out Micro Focus’ digital transformation capabilities. In order to deliver on the wide-ranging and complex requirements, the company pursued a two-pronged strategy. One step has been to strengthen the company’s overall portfolio through M&A. The acquisition of HPE software was an important first step to strengthen the company’s overall bench, and subsequent acquisitions have added further depth while at the same time previously announced divestitures have allowed the company to stay focused on its core strategy without negatively impacting customers. At the same time, the company has been executing on an aggressive product development strategy – such as launching a modernization approach for core business systems and announcing new data protection solutions for virtualized and Hybrid IT environments – to evolve its offerings and align to this overall strategy.